During Photokina 2016 this week, Western Digital unveiled a prototype of the world’s first 1TB SDXC card under their SanDisk brand. Just two years ago, the SanDisk 512GB was the world’s largest storage card available. However, with the rise of 4K, and soon 8K, even 512GBs of storage won’t be enough. We’re probably even getting close to the point where 1TB will be too small. At this time, the card that Western Digital is showing off at Photokina is just a prototype. It’s unclear if what their timeline for producing a consumer version is. Hopefully, it will be sooner rather than later. 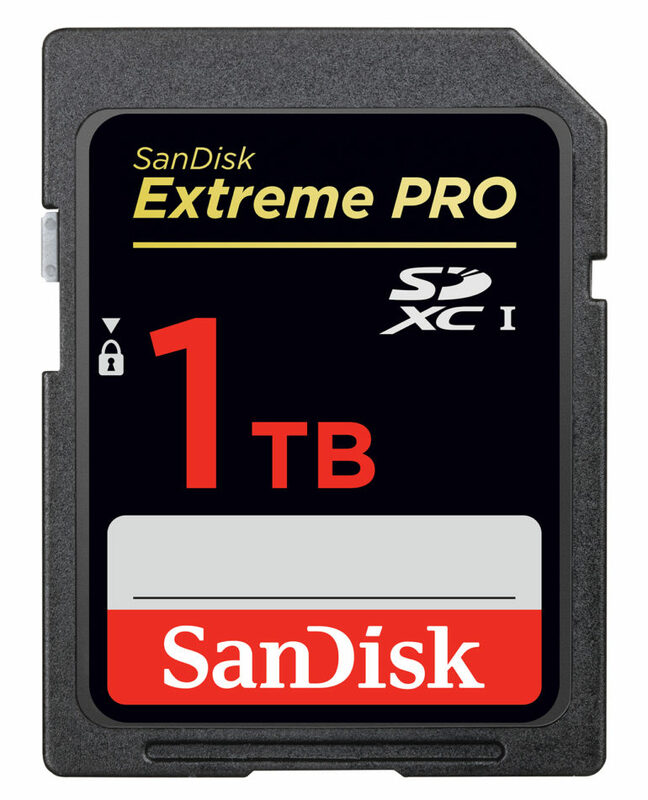 PHOTOKINA, COLOGNE, GERMANY, Sept. 20, 2016 – Western Digital Corporation (NASDAQ: WDC), a global storage technology and solutions leader, today unveiled its SanDisk® 1TB terabyte (TB) SDXC™ card prototype at the world’s leading trade fair for photo and video professionals. With increasing demand for high resolution content, such as 4K and 8K, the company continues to push the boundaries of technology with solutions that support the exponential growth of data-intensive production demands.